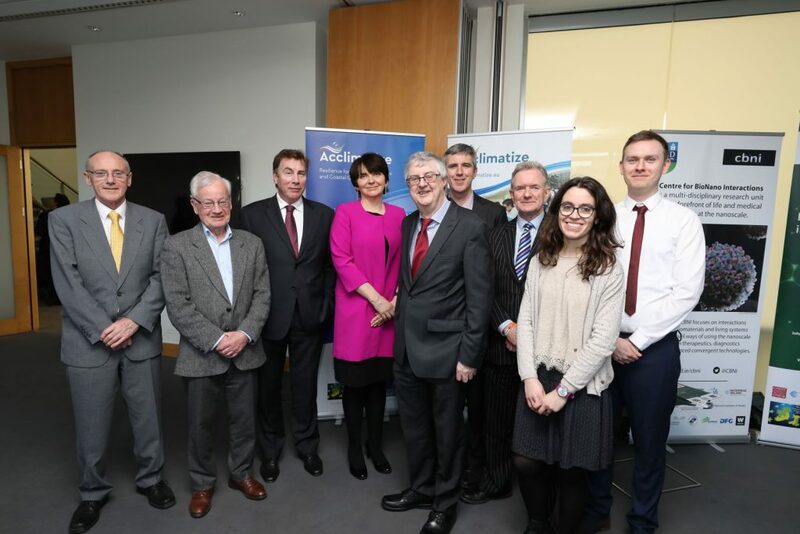 The Acclimatize team, together with research teams from Interreg projects CALIN and Ecostructure, welcomed Minister Drakeford and his colleagues to UCD as part of their visit to Dublin on 21st February 2018. The Acclimatize team was delighted to showcase the project and answer questions about its impacts so far. The Minister showed great interest in all three projects and highlighted the importance of research collaborations between Ireland and Wales.